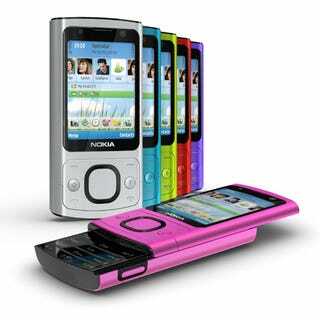 Despite the N900 looking like a return to the days of quality Nokia phones, it's announced it will halve production of its smartphones in 2010, instead concentrating on dumbphones, or "mid to low end smartphones," as they see it. Our suspicions were raised three days ago when they stated they'd only be releasing one Maemo device in 2010, being a figurative bullet in the foot of the Finnish company, considering the N900 is the best thing they've released for years. Even with the rather odd advert. "We see ... really fierce competition certainly in the high end, but we also see it in the mid to low end of smartphones increasing"
This tactic of releasing dumbed-down handsets which look, feel and act exactly like the last 50 models to be sold was mentioned at Nokia Capital Markets Day earlier in the week by Olli-Pekka Kallasvuo, who wants to bring prices down to increase margins. "We have cut down unnecessary differentiation, so that we have a far more focused portfolio for next year"
Is releasing just one Maemo device (the far-superior platform to Symbian) considered "unnecessary differentiation"? We would've called it "offering punters what they want," keeping in mind the N900 has far outsold expectations, forcing Nokia to delay sales in both the US and Europe. Even at Mobile World Congress, when Nokia first introduced the N900, you could see they didn't value the device as being a worthy of flagship status, devoting just a couple of minutes at the end of the presentation to it, calling it a "niche" product. Even the lack of exclusive carrier support suggests that Nokia wasn't pushing it hard enough, instead focusing its energies on the pitiful N97.